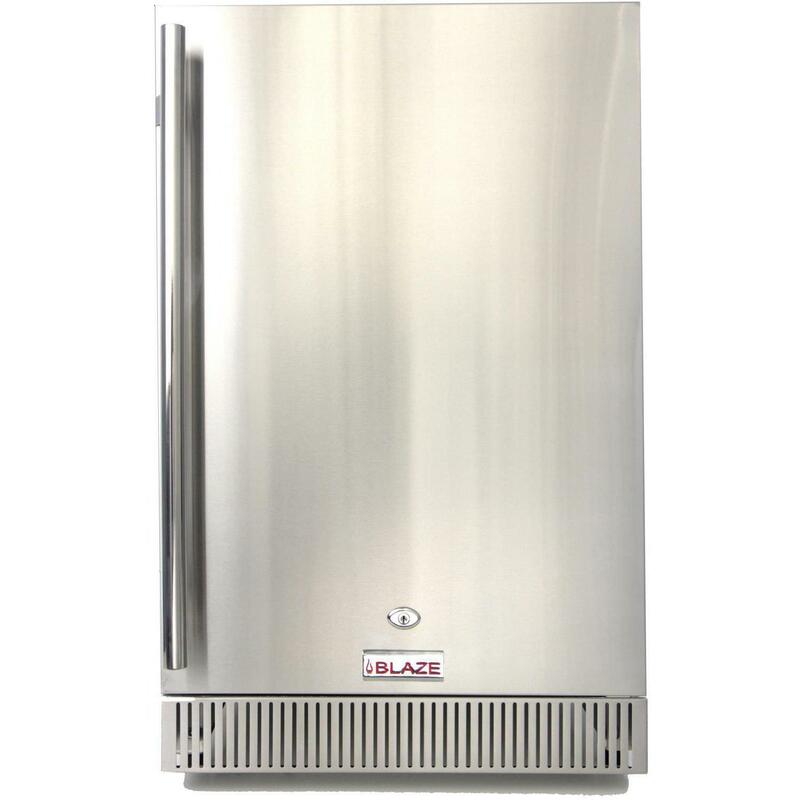 Product Description: Blaze 20-Inch 4.1 Cu. Ft. 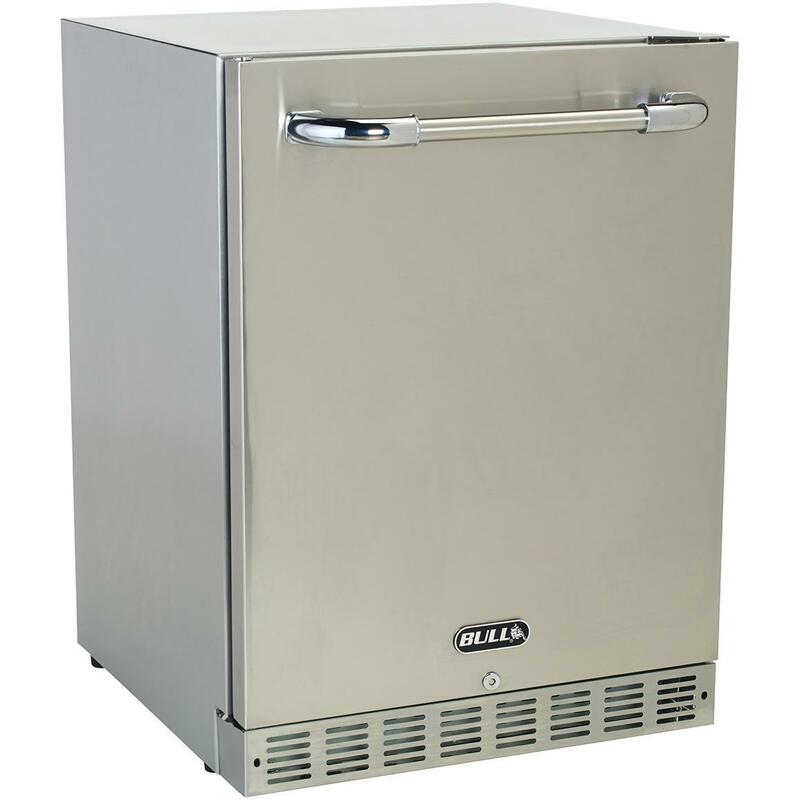 Outdoor Rated Compact Refrigerator - BLZ-SSRF-40DH. This Blaze outdoor compact refrigerator is fully wrapped in 304 grade stainless steel and features front venting for easy installation in your BBQ island. With 4. 1 cubic feet of storage space, your Blaze compact refrigerator will be able to keep all your drinks and condiments cool. The adjustable temperature controls allow you to customize the temperature inside your Blaze refrigerator to suit your needs. This Blaze outdoor refrigerator features three adjustable wire shelves, a drink can holder, and three in-door shelves as well as an interior light to find items easily. The durable construction, sealed back and UL rating makes this unit ideal for use outdoors. The field reversible door has a modern and sleek straight bar style handle and includes a lock for security. 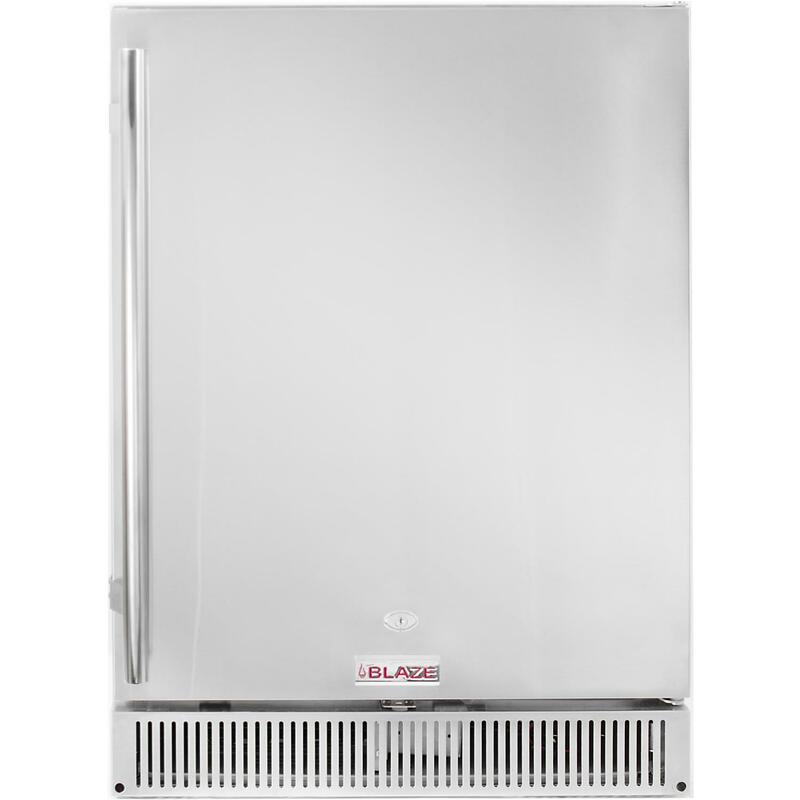 Adjustable leveling legs are included to ensure that your Blaze refrigerator sits evenly on any patio surface.